Experience: Carlo Giannotta has been the principal at Grace Christian Academy for the last 16 years. He has been part of GCA for 23 years, teaching 5/6 for 3 years and 3/4 for 4 years before taking on the role of principal while also teaching 7/8. He completed both his bachelor’s and master’s degrees at Concordia University River Forest. As principal, he finds himself wearing many different hats. Whether supporting his teachers, planning school improvements, coaching basketball, or tackling a variety of odd jobs around the school, Mr. G continues to enjoy getting to know many wonderful students and families. He is happy to be part of providing quality, Christian education to families in the community. Outside of Grace: When he’s not at Grace, Mr. G enjoys watching his Detroit sports teams, golfing, and spending time with his family. What makes Grace special: Grace has great staff, great students, great teachers, and great families. We all work together to give our students a wonderful Christian education. Experience: Ms. Karen Crowder joined the GCA staff part-time in 2013 as the admissions counselor. She studied Sociology and Spanish at Asbury College and spent a year in Guatemala City prior to moving to Chicago to pursue her Master’s in Social Work in 2008. Shortly after moving to Chicago, she came across the Little Village neighborhood and has lived and served in Little Village ever since. Ms. Crowder joined Grace full-time in the fall of 2017 taking on the role of both admissions and community outreach. She continues to be a point person for both perspective families and current parents while also building relationships with various community and church partners and individual supporters of the school. ​Outside of Grace: Ms. Crowder enjoys experiencing the diversity and culture of Chicago. Whether hiking, biking, or kayaking, she tries to get outside as much as she can before the long, cold winters set in. She also loves travelling to see friends and family spread out across the U.S. and Latin America. What makes Grace special: Relationship is what sets Grace apart. You feel the difference when you are in a school where everyone knows everyone and the teachers and staff care about the well-being of both the students and their families. Teachers and staff are approachable and the community is very warm and welcoming. Experience: Mrs. Gloria Canjura has 32 years of teaching experience with 25 years at GCA. She attended college at San Carlos University in Guatemala and began her career teaching junior high and ESL. After moving to Chicago, she began teaching preschool for GCA where she has taught since 1993. She feels fortunate to have had the opportunity to meet many special families over the years and to be able to see many of her preschoolers go on to graduate from Grace as 8th graders. Outside of Grace: Outside of teaching, Mrs. Canjura enjoys planting her garden, making family scrapbooks, walking, and visiting her grandchildren. She has been a member of the Lutheran church since she was born and married a Lutheran pastor. She continues to enjoy being involved in church activities in her free time. What makes Grace special: Mrs. Canjura says Grace is a special place where people can feel secure with no concerns about differences in race or creed. But most importantly, at Grace, she loves that she is free to serve and teach about Jesus’ love to all children. Grace is a nice place to be with a Christian environment. Experience: Mrs. Jill Giannotta (Mrs. G.) has been part of the Grace Christian Academy family for over 20 years. She attended Concordia University in Chicago to prepare for her teaching career. She has taught full time for 13 years including teaching 2nd grade, 1st/2nd grade, kindergarten, and extended care. While her children were still small, she led and taught the Title 1 tutoring program for 6 ½ years. In addition to her current role teaching kindergarten, she helps coach volleyball and cheerleading at Grace. She also makes time to teach Sunday School during the school year and lead VBS at her church during the summer. Outside of Grace": With her oldest daughter in high school, her husband serving as GCA’s principal and her youngest 2 daughters attending Grace, finding time outside of school can be a challenge. Mrs. G. says her free time is most often spent watching her children in competitions or concerts and taking them to practices. She enjoys time with her family and free moments to surf Facebook and Pinterest. Other hobbies include gardening and sewing although she admits she doesn’t get to do them much anymore during this busy season of life. What makes Grace special: Mrs. G. loves the freedom to share the love of Jesus and His salvation with all of her students. She has loved watching so many children grow up at Grace including her own! 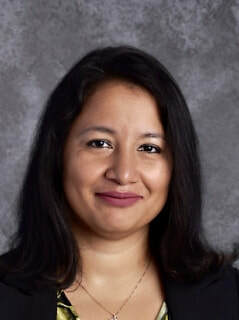 Experience: Mrs. Lesandra Nava has taught at Grace since 2015. She began her teaching career eight years ago, teaching in early childhood programs from birth – 5 years old in addition to experience teaching with a teen parent program in Cicero and Berwyn. She completed her Bachelor’s degree at DePaul University in Early Childhood. She has been a great addition to GCA, teaching our 3-year-old preschool, and now teaching 1st grade in the morning and co-teaching 1st and 2nd grade in the afternoon. She, her husband, and their three children live in the neighborhood and her youngest 2 children are students at Grace. Outside of Grace: Beyond the classroom, Mrs. Nava likes to stay active. She enjoys boxing, dancing, and walking the trails around the city. What makes Grace special: Mrs. Nava says the closeness of the staff, teachers, and students are what make Grace such a special place. 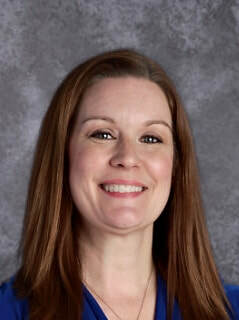 ​Experience: Ms. Cathy Brown has been a teacher for 14 years, teaching the last 12 years at GCA. She graduated from Concordia University and has experience teaching 5th, 6th and 1st/2nd combined. With the current enrollment, Mrs. Brown is teaching 2nd grade in the morning and leading the combined 1st and 2nd grade room in the afternoons. ​Outside of Grace: When she’s not at Grace, Ms. Brown enjoys walking, dancing, and riding her bike. She also enjoys classical movies. She also describes herself as a TCM fan. What makes Grace special: Ms. Brown says it is a real privilege to be part of the Grace Christian Academy family. She loves getting to know the students and having siblings come up through her classroom as families grow. Experience: Ms. Trinity Lichter graduated from Concordia University Wisconsin in 2015 where she taught in daycares throughout her college years in addition to gaining experience student teaching and volunteering at an elementary school in Milwaukee. She joined Grace Christian Academy for the 2015-2016 school year as the 3rd/4th grade teacher. She is now in her fourth year of teaching 3rd/4th grade and still brings lots of energy and enthusiasm to the classroom. In addition to teaching, Ms. Lichter has also served Grace’s students through coaching cheerleading and Girls on the Run. Outside of Grace: Ms. Lichter enjoys traveling and loves to use her travel experiences to enhance her teaching. She also has a love of reading that she hopes spills over to her students as she tries to read a variety of books and encourages her students to do the same. She also uses her free time for crafting, crocheting, and sewing and enjoys making time for running and working out. What makes Grace special: The community at Grace is a large part of why Ms. Lichter loves teaching at GCA. Teachers, students, and their families all work together to provide the best learning experiences possible. Ms. Lichter says the students are great and make her job enjoyable while support from parents and their commitment to their students is also very encouraging. She also knows she can count on the help and support of other staff when needed, making Grace a great place to learn and a great place to work. ​A word of encouragement: “Be still and know that I am God.” Psalm 46:10 Ms. Lichter says this verse always helps to calm her down in hard times and remember that no matter what happens in life, all we need to do it put our trust in the Lord. JoAnn Ohlrich joined Grace ni 2017-2018, teaching 5th & 6th grade. She moved back to Chicago in 2017 after over a decade of teaching in China. She attended college at the University of Colorado and has taught a total of 17 years, teaching every grade from 1st up through high school as well as swimming. She was also a principal for 3 years. Prior to joining Grace, Mrs. Ohlrich enjoyed her years of experiencing life in China. She has traveled to most countries throughout Asia as well as traveling in Europe, Australia, and New Zealand. Back in Chicago, she is enjoying going to hockey games, eating out, and spending time with her family. Mrs. Ohlrich loves her students and says they are what have made Grace special to her as she has joined our community. Joseph Hansa returned to Grace Christian Academy after completing his teaching degree 15 years ago. 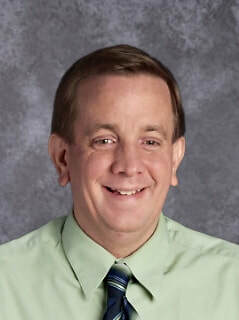 He is an alum of GCA and has taught 7th/8th grade for his entire teaching career. He attended Concordia University River Forest and Concordia University Chicago. 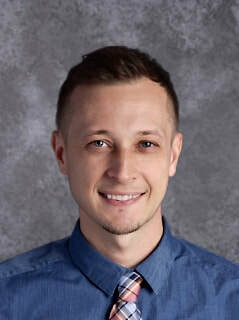 He also has prior experience as an instructional coach at Fleetwood and a summer camp counselor. Mr. Hansa enjoys life outside of school with what he describes as an ongoing, voluntary, and self-motivated pursuit of knowledge and fun. For Mr. Hansa, giving back by serving the community where he grew up in the school where he received his elementary school education are part of what makes his teaching experience at Grace so special. He says he loves that Grace is providing Christian education to the Little Village community and continues to offer small class sizes that makes Grace feel like a family environment.